While this really doesn’t affect us local people here in Pakistan, citizens in America would be glad to know that the iPhone-4-coming-to-Verizon rumors are getting stronger and stronger everyday. 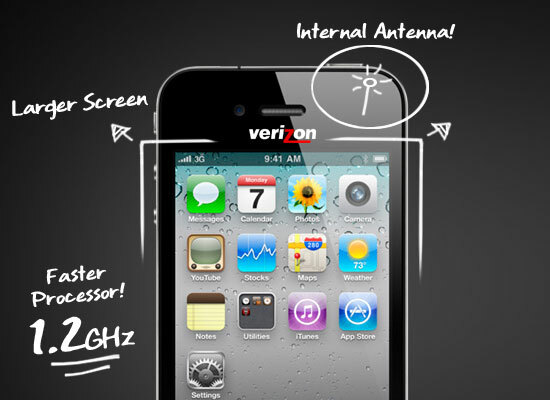 In the latest from Dvice, one inside source claims of a new Verizon iPhone 4 which will have a faster (if only slightly so) processor, a dedicated internal camera and a larger screen. I personally think this is unlikely… only for now. For all I know, Apple and AT&T’s exclusivity deal ends in 2012… till then, our American geek-brothers and geek-sisters should make do with AT&T.